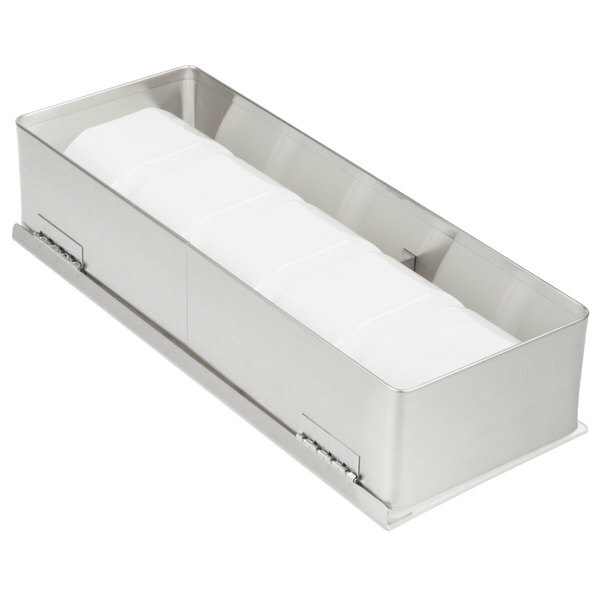 Keep condiments at your concession stand or garnishes at your bar fresh and easily accessible with this stainless steel San Jamar B4155L garnish tray! 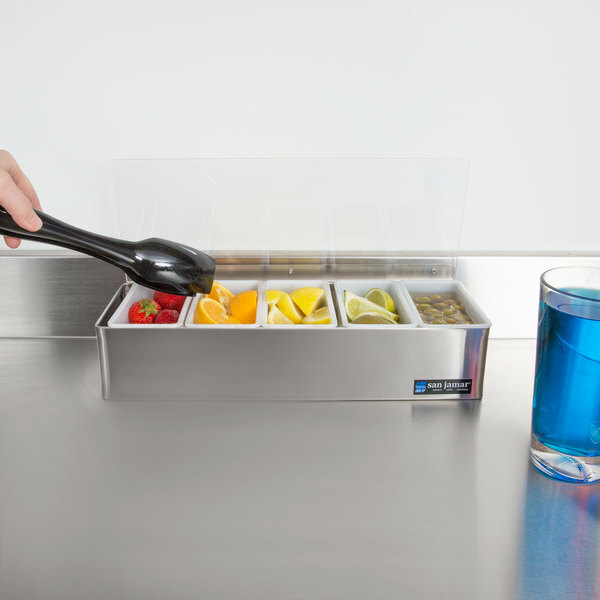 This garnish tray comes with (5) removable pint inserts that can be swapped out for replacement quart or pint inserts. Their removability also makes it easier to clean. Store anything from olives, lemons, and limes to ketchup and mustard packets. 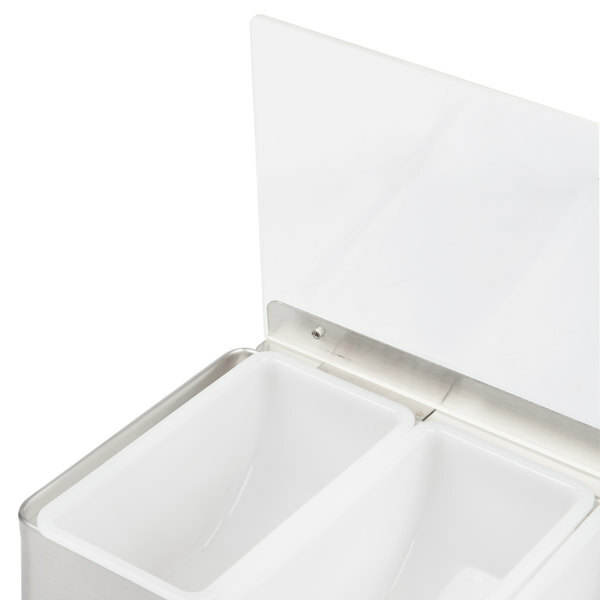 A stainless steel outer shell provides ultimate durability as well as a sleek appearance. 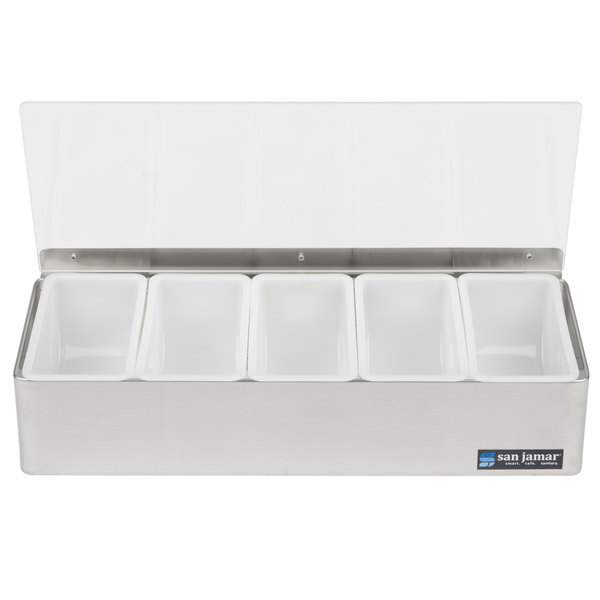 Its transparent lid protects provides content visibility so you can see when your supply is running low. 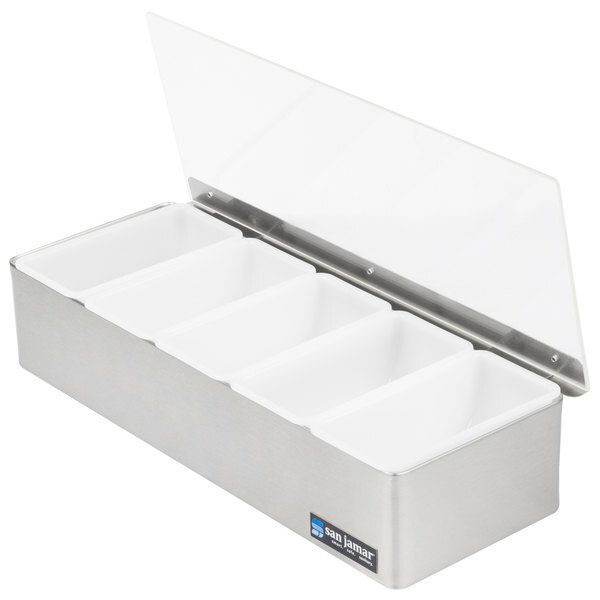 The lid's hinged design allows for easy opening and cleaning and keeps your fresh garnishes safe from debris, germs, and other contaminants. 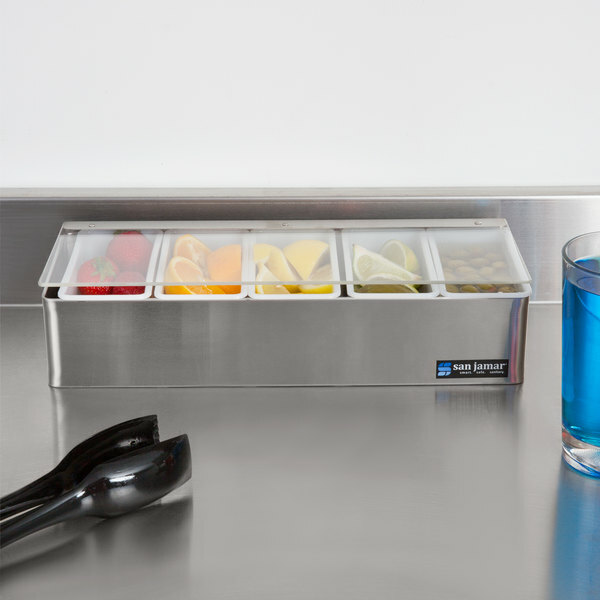 Great for front or back of house applications, this garnish tray provides you and your employees with ultimate organization so you can focus on making drinks and serving your valued customers! 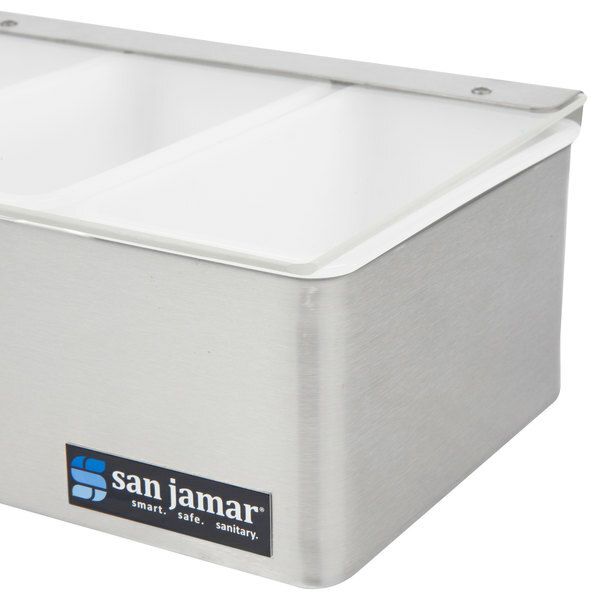 San Jamar make excellent products, and this garnish tray is no exception. 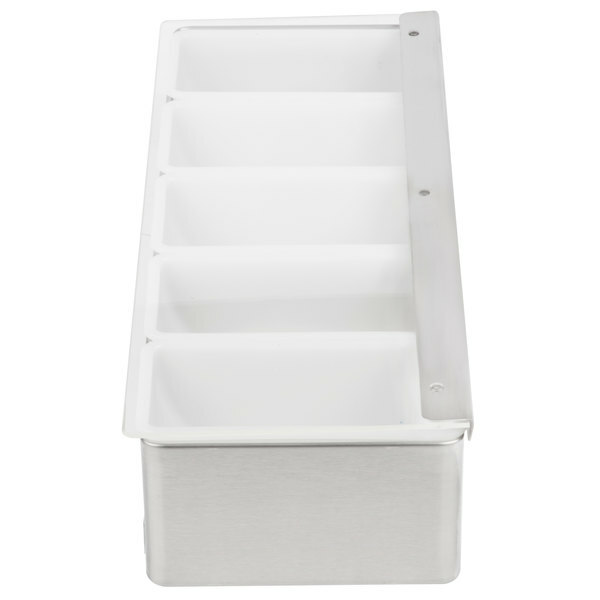 It's perfect for holding separate garnishes in the front and back of house. It's very well constructed and has held up to regular daily use for 9 months and counting! 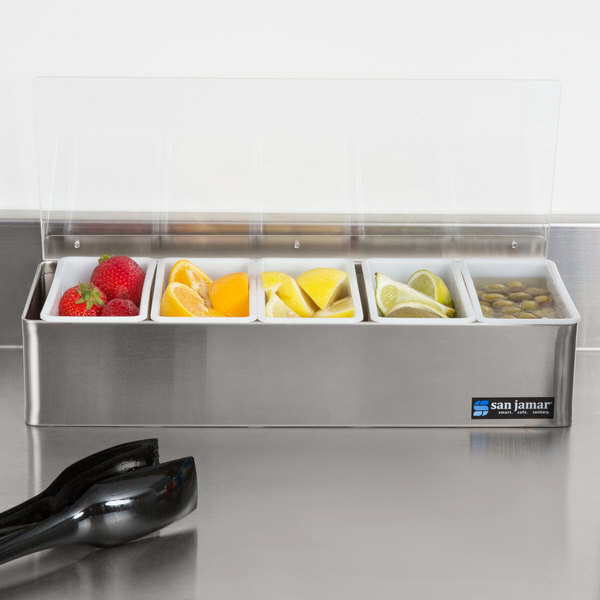 Nice garnish tray that holds all assortments of fruits such as cherries, oranges, lemons, limes, and olives. Plastic inserts are cleanable in dishwasher or by hand. These are very sleek looking and the most important part is that because they have no bottom they are light weight and a real breeze to clean. I would recommend them for a bar or catering needs. 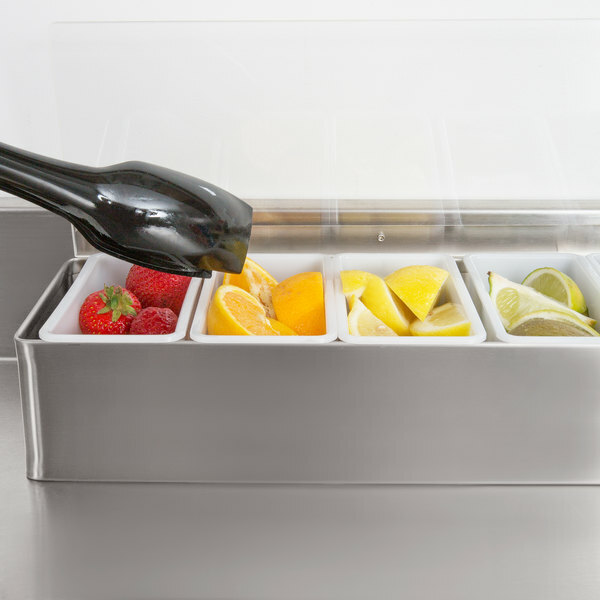 This garnish tray is a must have for any bar! We went without for a couple of weeks, and since we got this we have been wondering why we didn't have it all along!